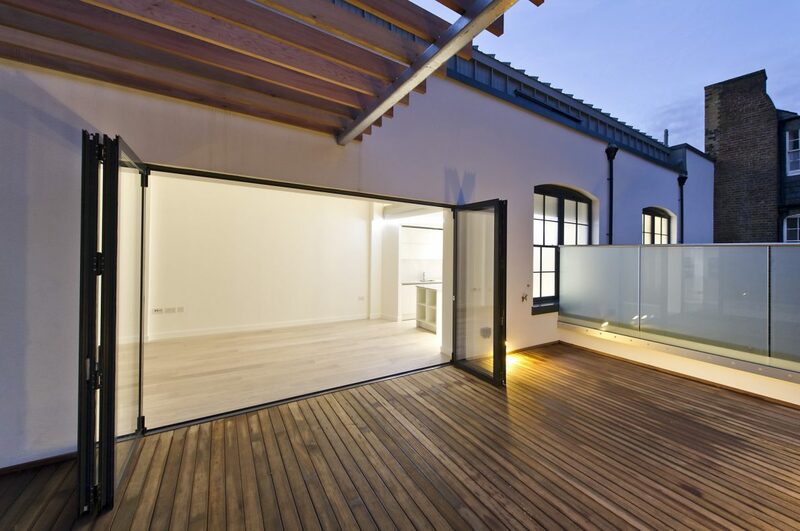 A refurbishment of an existing two storey structure in the heart of London’s alternative district; Camden. Stride Treglown received the commission after winning a competition to design two luxury apartment units. The scheme takes place inside a narrow footprint. 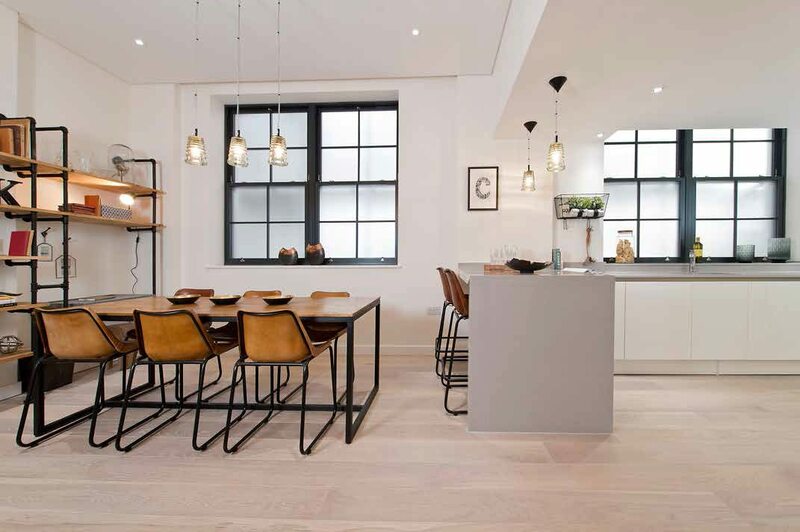 Located within an architectural conservation area, we have transformed an L-shaped two-storey 4 meter wide warehouse into aspiring homes. 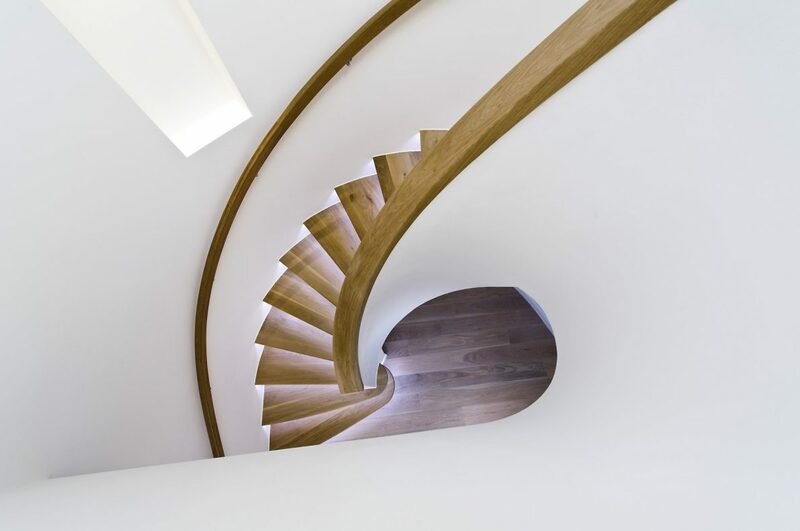 The design achieves a sense of space within these constraints through an array of double height rooms, open plan living and flowing curves. The project comprises of a two-bed apartment and a two storey maisonette apartment with a ground floor studio. 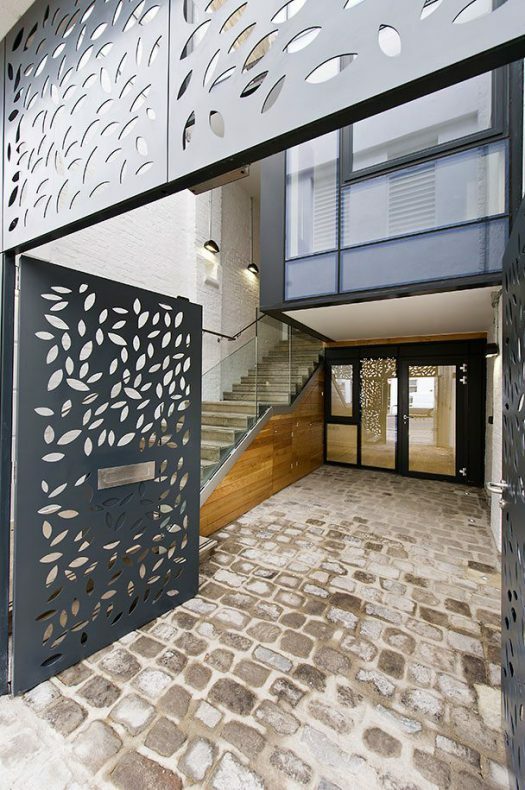 Both units were designed with bespoke features, including a centerpiece spiral staircase and external gates with a laser cut pattern. The contrast between the existing industrial features of the building and the new weightless glass and metal insertion creates a unique and striking aesthetic. We were challenged with adding an extra storey to the scheme, whilst respecting height restrictions set by the local authority. This was only possible by pulling back from the existing two-storey front façade and creating a dramatic entrance courtyard.